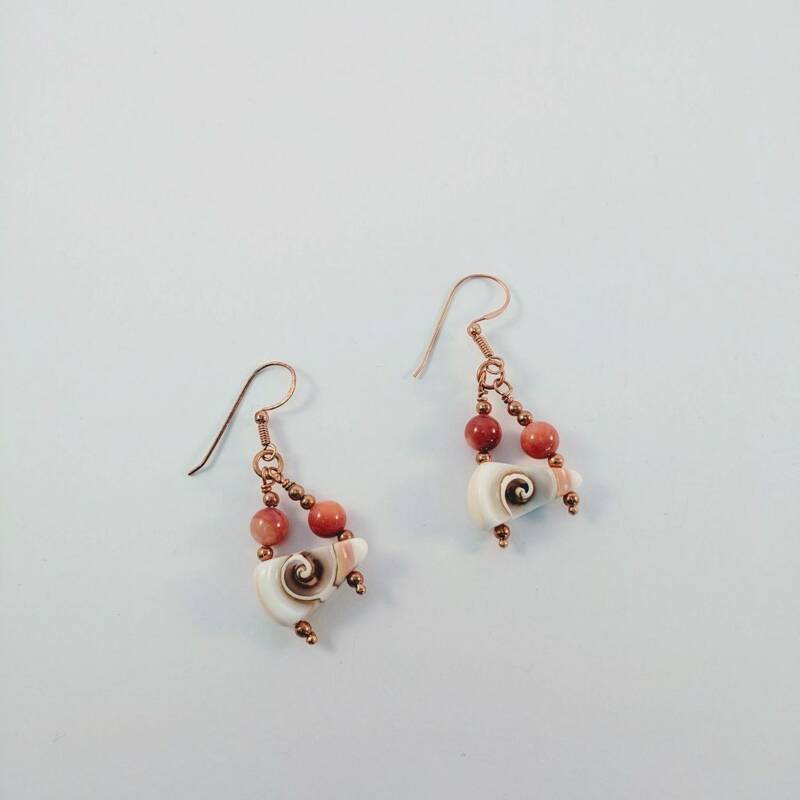 These dangle earring are made with a pie shaped piece of a natural center shell spiral. 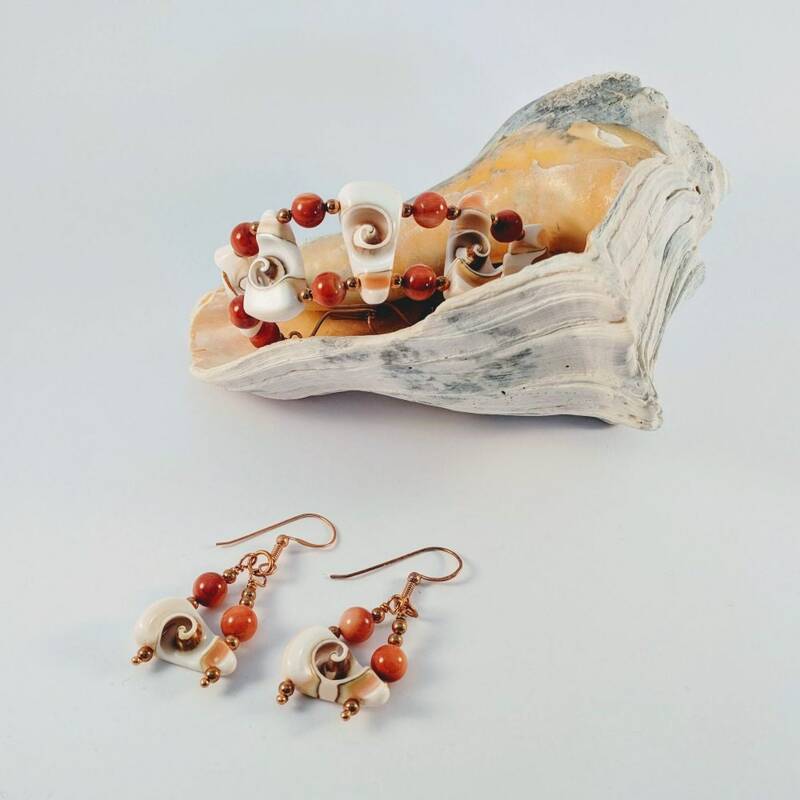 It is embellished with 7mm river shell beads and small copper round beads. 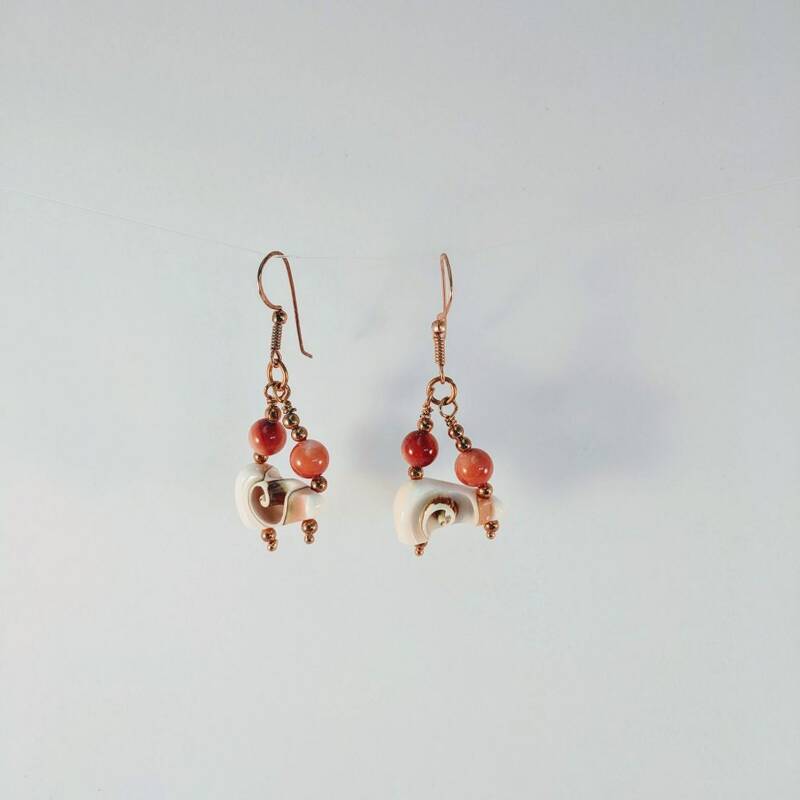 All elements hang from copper ear wires making an earring that is approx. 2 1/4" in length. 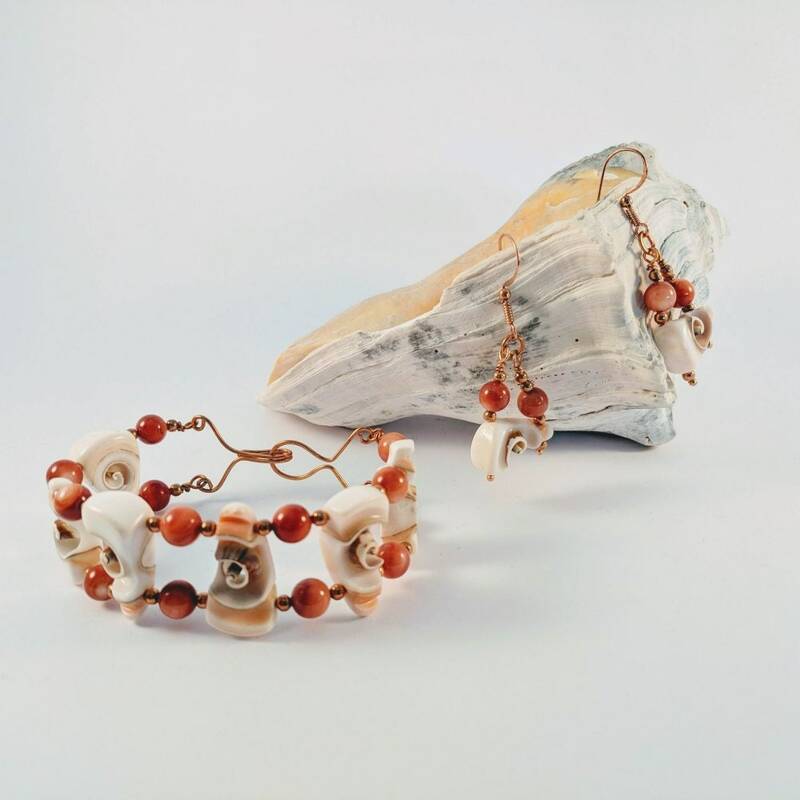 These are great as a stand-alone accessory and will look spectacular with the matching Shell Spiral Bracelet (last pic) which is listed separately.